This image, posted by a Facebook friend, took me down memory lane. 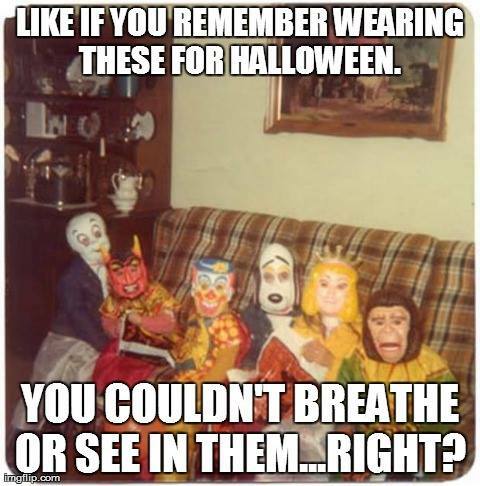 Being a child in the 1970’s at Halloween was just the best. Am I right? If you are a 40-ish person, you know what I’m talking about. This is not a blog post about Halloween as a celebration of evil, because in 1976, I had no idea that there was a dark side to the day. It was not about evil (or breathing or seeing in a mask.) I am no fan of modern-day Halloween, or what it represents, but when I was seven years old, it was all about the candy. And all about fun.